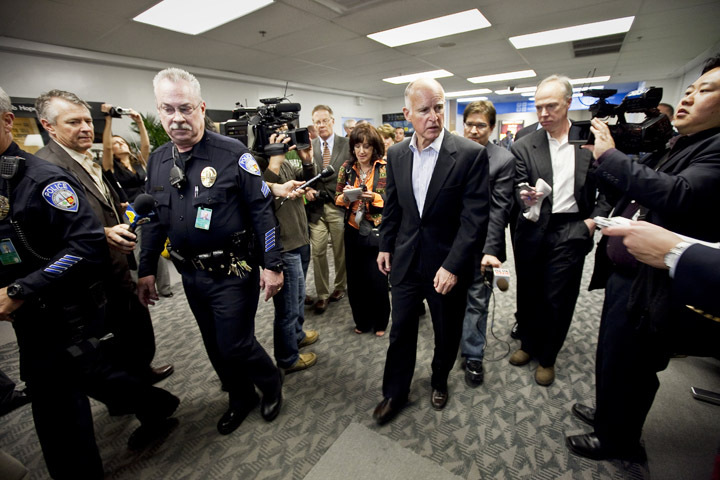 LA Photo: Governor Jerry Brown Visiting L.A. Governor Jerry Brown flew down to L.A./Burbank via Southwest Airlines, instead of private jet, to visit Los Angeles today. The Governor even carried his own baggage, a black suit bag, and loaded into the back of the waiting limo. Wonder if he booked the ticket himself? 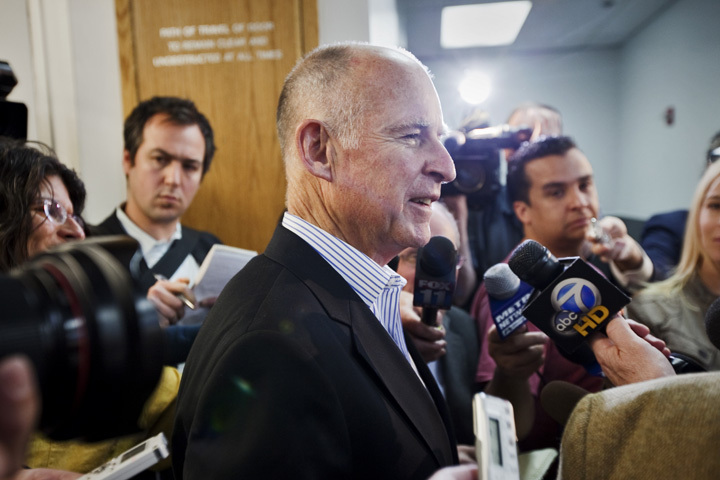 The Governor is meeting with Los Angeles area businessmen today to discuss California's 25 billion dollar budget, which he is in the middle of trimming. The Governor holding a press conference at Burbank Airport. 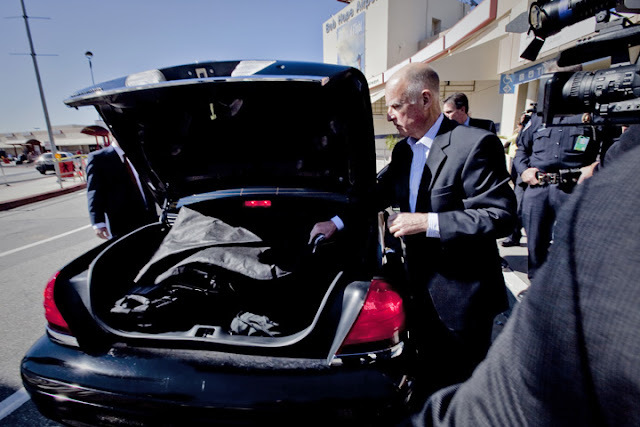 Governor Brown loading his own baggage.